Everywhere has a claim to fame in one way or another and some places even have many, such as Texas. But one fame-claiming thing Texas has every year is a hot summer, so hot that some roofing materials just don't hold up to the heat as well as they should, which is why we at SPC Construction and Roofing have made a comprehensive list of the do's and don'ts for the best Frisco roofing options this summer. Frisco is one of the areas SPC Construction and Roofing services, along with Colleyville, Grapevine, Southlake and the entire DFW Metroplex, and of course all of these areas share the same Texas heat. Temperatures easily soar past the high 90's, and though we've found ways to beat the heat, year after year, how do you think your roof is handling it? If it's time for an update, fix or complete overhaul, check out below before you go any further, and see what you should be looking out for to ensure your roof can endure as many summers as possible. If you don't know what a radiant barrier is, you are not alone, but they are gaining popularity in Texas, as they act as something similar to an umbrella or floppy hat at the beach. These roof 'cover-ups' are coatings that reflect the sun away and can be added to most any roof, so if you aren't thinking of replacing yours, but would still like to shun the sun, look into a radiant barrier instead! Of course, solar roofs are a fantastic option and one of the best roofing materials if you live in Texas, or anywhere with an abundance of heat and sun. But it isn't just about what climate you are in, it's also about helping keep your bills down, and now is a better time than ever to look into the installation of solar panels or solar shingles, to help you, your home, the Earth and your energy bills! You'd be hard-pressed to find a more tried and true roofing material for hot weather and lots of sun than Terracotta or clay, and with recent treatments, clay is even more helpful than its traditional brethren. 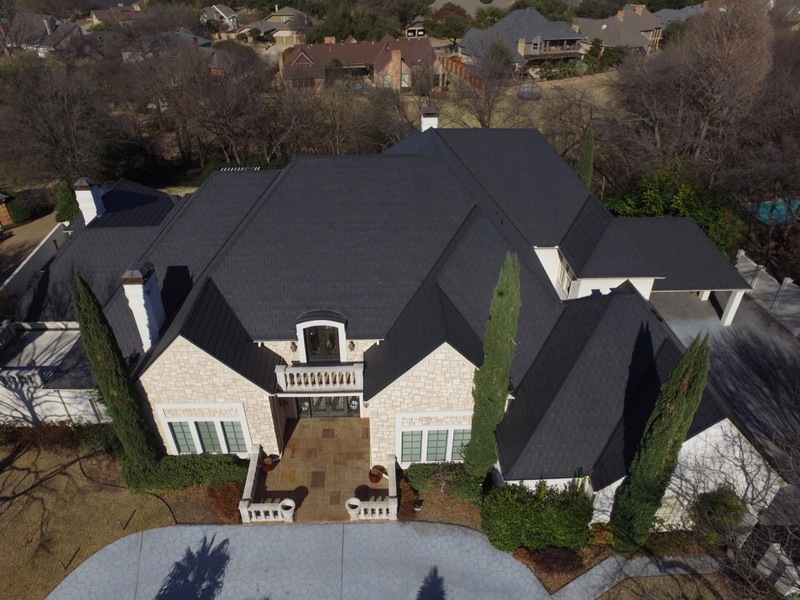 Clay roofs now have additional weatherproofing treatments and reflective properties, and this along with their light color, is a strong contender for Frisco's best roofing! Why do we use concrete for our driveways, garages and floors? Because it's heavy, strong and durable, not to mention it heats slowly and is relatively low-cost. Concrete also protects your roof from inclement weather or critters, just as it does for the rest of your house! Also, white tile or white metal roofs, basically any light or white roofing is a great option, as it reflects most of the sun's heat back and away from your home. Though all white roofing is helpful, it is not all created equal as the S tiles show us. From testing in the sunshine state, we know that white S tile roofing reflects almost three-fourths of the sun's heat away, while the S shape allows for more air circulation. Call for a free consultation, to ask questions, or simply to see what a new roof could do for you and your energy bills this summer.